10 :: Gerrards Cross Golf Club is considered one of the most attractive courses in South Buckinghamshire. 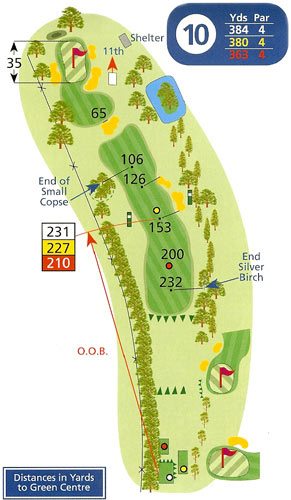 This strong par four rewards a drive in the left half of the fairway which gives players a clear approach to the green. Those choosing to favour the right side to avoid the dense hedging and out of bounds on the left bring the fairway bunkers into play. This will leave a tough second shot over the bunker at the front right of the green.